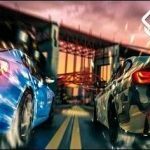 Asphalt 8 MOD APK Bike Update Motorcycle 4.2.0 is an arcade racer from gameloft. 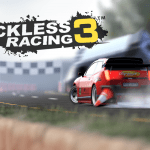 Asphalt series has been tremendous for its unique and exciting racing game. game has been downloaded millions times since it was arrived back in 2013. After almost 4 years of its release date Gameloft has released biggest content update yet. Its named BIKE UPDATE. Get the MOD APK Asphalt8 with Anti Ban and Unlimited Money. Unlock a premier muscle car, the Equus Bass 770, and the 600-horsepower Spyker C8 Preliator in their dedicated Championships! The world’s first highly efficient hydrogen-powered race car is waiting for you in an all-new R&D Event. Feel the power of the beast in this Class-A ride. We’re making significant improvements to the inventory system to help you find what you’re looking for. The apk don’t install help me! Hey RG I am getting banned after downloading files ! What should I do?? Please fix mod. Cant upgrade storage u cant buy all the items in shop u can buy only the first and last item in shop the rest will give u error. rg can i play multiplayer???? if they give unlimited tokens then we will get banned thats why there is no unlimited tokens !!! can you give me the exact direct download link for this game? Mod works, it is safe without getting banned. Will I get banned if I go to Multiplayer or Event? I’ve tried installing game but it’s not installing, what could be the problem? according to cpu-z my phone is opengl es 2.0. I need help on this pls. Is it really anti ban??? Can i play online??? I cant install all mod version on my asus zenfone 3. It always says app not installed, I also tried installing old mod version but still cant install. Please help! Thanks RG. It works now after deleting dungeon hunter 4. You’re the best. I turn off the internet and everything fine.. But the next day i open game it asking for internet then close..
Alguna solución o de plano ya no se puede crackear? O es algo a propósito por parte de Gameloft? Mod does not work bro! and I try to install mod over original apk it always says “can’t be installed, conflict with the existing file”. So, mod apk useless…. what happened? It keeps asking me to update the game. I’m guessing you forgot to update? Yo RG, the links are dead..
1. Is remaining credit still there? 2. Am I gonna be banned? 1. Your main account credits are still there even if you got banned with the offline/modded account but you should backup your game data first. Broken Link.. Please Fix . appvn and goto downloads and update your mod game. Note: Some games Like modern combat 5 has no update and it is not available in appvn and I think that Asphalt 8 is also not there but you guys can check I am not really sure about it. Just a APK, downloaded additional 1GB data from the game. Now its asking to update to the latest version…. Now Bike’s Moto Blitz and stages data are asking for download on 3.2.2a.. and with internet it asks for nonexistent update and it has become unplayable, fix it asap! RG, how to download map? you have to download all data again.. over write not works.. Thanks RG.. andropalace MODs is very reliable for me , but this time very bad experience download around 2 gb data with your mod and got banned wasted my 2 gb and time .. and now you updated the MOD means again download 2 gb :) are you sure this time MOD will work ?? I downloaded from playstore yesterday and now i try to overwrite your mod buy error occur : App Not Installed due to existing signature conflict. what to do ??? This version need internet on every time at starting .. which may be cause ban… going to normal apk…. Same happens last night with me.. now i think there is no other way to play except with normal APK… too bad…. While downloading extra content from the apk do I lose my downloaded content if I pause it in between and then resume it…. It says, app not installed. Please tell me, what can i do? RG, when the new update comes do i lose my previous save games?? For those who get error “app not installed”, RG have told that uninstall other Gameloft games. I tried that, but still error. Then I tried to delete my Playstore library of Gameloft, that works. I suggest you to do that also. Mod works, and don’t forget to make it offline, or you will get banned. According to you, i tried. But still error. Any solution? RG, when the next update comes, Do we have to again download the whole content?? Also will it effect my saves in the game?? PLZ ANSWER THIS…….IT’S REALLY IMPORTANT. And then how to install that updated Apk?. U mean overwriting the existing one?? Yes snow, install the latest apk over the existing older one. Hey RG.. i have downloaded all the additional data (1.4gb) when i try to race in career mode.. it ask me to dowmloaded some additional data again.. i do it but, It stuck .. the download progress is freezing.. please fix this rg.. i run my phone on good 4g signal.. I am having “application not installed” problem…any solutions ??? But is it safe to download races in games career. Are you installed this mod apk on android 6.0 marshmallow. but Original apk i mean when i downloaded Asphalt 8 from playstore it worked. I tried installing this on my Redmi Note 4. It does not happen. I even tried downloading it first from Playstore and to overwrite it with this mod APK. Even that didn’t work out. Please help! I’m unable to install the APK. I even tried installing the game from Playstore and then overwrite it with this APK. It still doesn’t work. Phone- Redmi Note 4. Rg, i cant buy boxes, and use any elite car. can u fix this? Where is obb or data? please some one help me, i cant play this game, always stuck when i choose a map/track to race, a download dialog box always pop up, it tell me to download some file, but it wont download, stuck at 0.0mb/0.0mb, please help, it nott occured when i replace the mod apk with original one, download many version of this game before but always same problem..
Why i can t buy packs for cars? Only gameloft mod cant install. Doesn’t work still app not installed. packages conflicts error. Play store game run worked. it works perfectly..but the shop online is not..thanks anyway RG ur the best ??? Stuck at Age selecetion screen. I keeps on loading. is it a fixed apk now RG? hello RG thanks for mod this app. can i run this app in android JB 4’2’2 version? is this mod fix? who works 100%? sometime mod apk from gameloft cant instal from your phone, cause you was instaled official apk gameloft….. you must root and instaled xposed framework then instal luck patcher modul for fix it… it happend with android lollipop or higher, its fine in jb (idk in kk) you can fix it with instal on system but you cant instal another official game from gameloft in play store ? I m using samsung galaxy j7 and asphalt 8 mod is not install. i can install either mod asphalt 8 or Gangstar vegas in my redmi note 3.. is there any other way to install both games in my mobile.. I HAVE the same problem here in my redmi note 3? When you will update this ? thanx rg ….suprb for game…. For me alwasy stopped and closed. Thats all. Why not working? 2.8.0n not working also, force close with a message “unfortunately asphalt 8 has stopped”, plz fix this issue…. Unfortunately asphalt 8 stopped..on redmi note 3 SD…. To RG: can you tell me why the game force close. Hi RG, why this game is always always force close? can i install this then backup the save? uninstall and install the play version then restore the data from the mod save? is it working? i mean did ur account backedup? 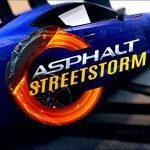 RG please update asphalt 8 to the latest version with only mod money. I cant play the game, it says u need to update ur game if i got online. I cant download the track becausethis game need to update. is this version fix? about the mod and the game ? how can i download maps??? MOD APK IS NOT BEING INSTALLED IN MY GALAXY J7 WHAT TO DO????? PLZZ REQUESTING YOU FOR HELP..
CAN I SEND U MY ORIGINAL PLAYSTORE LATEST APK …..THEN CAN U HACK IT AND SEND IT BACK TO ME…. Please help him. He is constantly asking my help in this matter and I am sick of this. 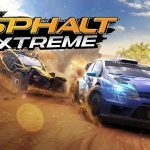 He just can’t install any Asphalt 8 mod apk. Help him play with unlimited money. Why always i’m play this game just notification of update? I try download others track,but when i open my wifi connection gameloft say must download lastest version…any solution? Hey RG Why not unlocked all races.. I can play just some stages. Then it says need internet and when i am on my data its saying need to update :/ but playstore not got any new update for this game. Then how to unlock all racing stages? Please tell me cant we login and play multiplayer online. It verifies everytime i connect the internet. 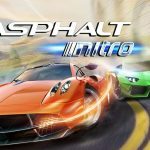 can’t I update asphalt 8 3.3.1c mod apk? 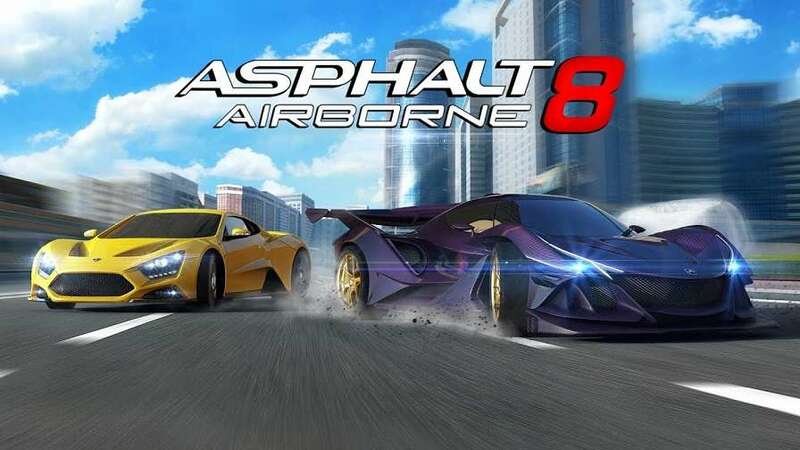 Download asphalt 8 from playstore normal intall. Then download asphalt mod.apk. Cut the obb files and place it somewhere from ur storage. Uninstall the asphalt 8.apk after that install the modes apk. Then move the obb files from android folder then paste it from obb folder. RG now please start making highly compressed data files for this game atleast. Its a pain everytime to download all data again after updating. 7. turn on internet and then open the asphalt game, BUT DONT DO ANYTHING YET! Sir. Does this mod apk need data? still not working even offline still can’t buy upgrade and car what happen to the mod RG ? Pls, RG is d asphalt8 2.7.1a data separate or do u download it from d game. This mod is useless !!! Rg do something whats the point have unlimited everything but couldnt even buy anything !!! So waste ! I got banned, installed the latest mod. Can se play online or we still have to play offline ? Your mod says.. App not installed .. on my redmi note 3 sd… I installed in playstore 58mb 2.7.0a apk… your mod apk 43mb 2.7.0a not installed…. can use obb/data on last version, RG? I have tried the game and unlimited gold is worked but the unlimited token is not working, i run the game online but it says transaction failed. Maybe u can change the currency of the car that sale with token to sale with gold. Cool!!! but where is the obb file? or just download from the game? Gold purchases are working fine. But with Tokens i am getting ‘transaction error’ on 2.7.0r. is play store’s normal version working fine? just unlimited money and anti ban mod right? so cool !!!!!! Hi Royalgamer. 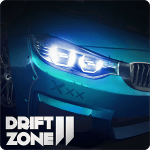 If you mod v2.7.0r then pls do only unlimited money and anti-ban mod like before and also fix the major issue found in v2.6.1a mod of cars not unlocking. Couldn’t buy anything….plzzz fix this…I stuck in a race…can’t even buy upgrades…. error 9006, pls fix it sir.. Same here, can’t buy any car, I tryed to play offline but the same happens any solution? Help rg .. cannot buy any car.. transaction failed. (Error 9006) pls help ? What is your fb page to send original APK? Same here….what should I do? Did you fix yours already?